Wish so much news surrounding the Ralph Lauren renaissance, most people have ignored the slow rise of his nephew Greg. Greg Lauren dabbles in Americana, but the similarities between him and his uncle end there. His clothes have a post-apocalyptic look injected with optimism. Previous collections include track suits with frayed edges and puffer coats spliced with military jackets. 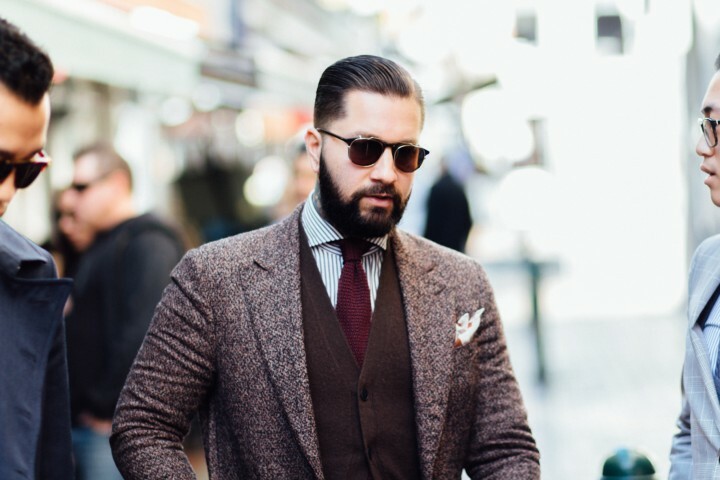 Derek Guy is one of my favourite menswear bloggers; someone from an older generation of enthusiasts who still actually write blogs. You know with words. 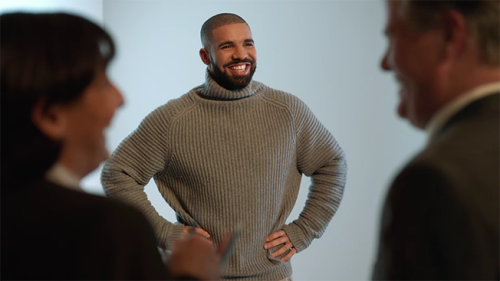 This week he’s back at it again dropping words of wisdom about the turtleneck. Seriously, check this piece out. I found Bliss on Twitter and he’s producing some great vids. Bliss is a menswear enthusiast with something rare: a personality. He’s a millennial and owns it. Older readers may find him a bit obnoxious (and tbh that opening track is painful), but his authenticity is refreshing. My favourite video of his is him showcasing a pair of Helmut Lang jeans. 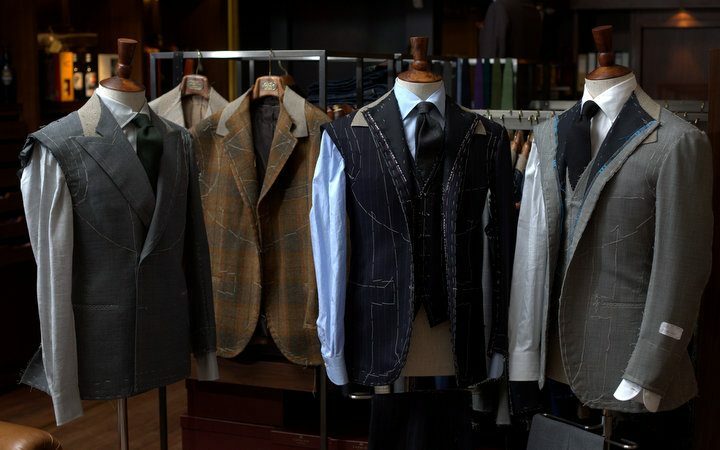 The detail he goes into, especially with the textiles, might convince tailoring enthusiasts that deconstructivist fashion has value after all. Just might. No matter how good you think you are there’s always an Asian kid out there better than you. We’ve written about our favourite coats previously, but this one’s baller af. The teddy coat, was a decadent coat worn by motorists in the early 20th Century. Originally made of Alpaca at a time when cars came without internal heating, or roofs (and yes, no stereo systems either) the teddy coat was both stylish outerwear and protective clothing. This modern iteration by Motoluxe is just as luxurious. It’s made from nature’s most beloved animal: the trash cat – and has a double breasted front that’ll give you Frank Lucas vibes. 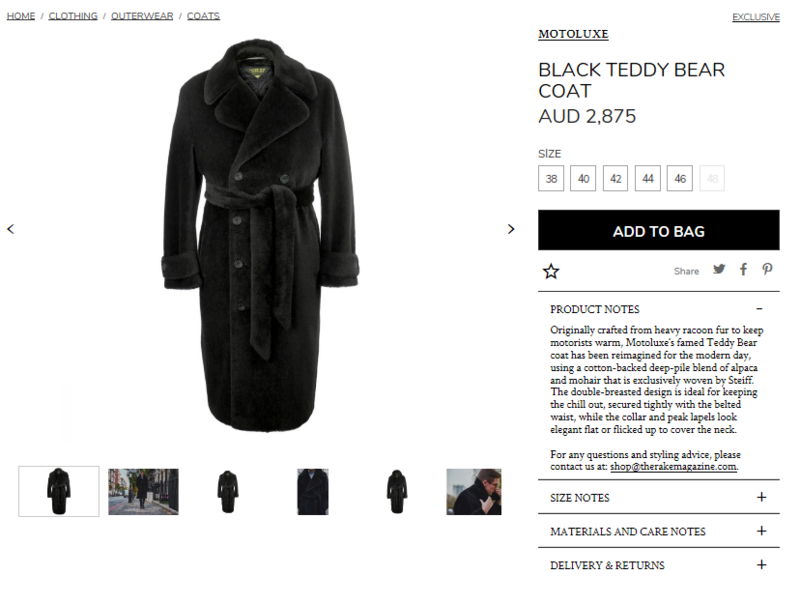 Yep, this is a coat for the real gangsters. 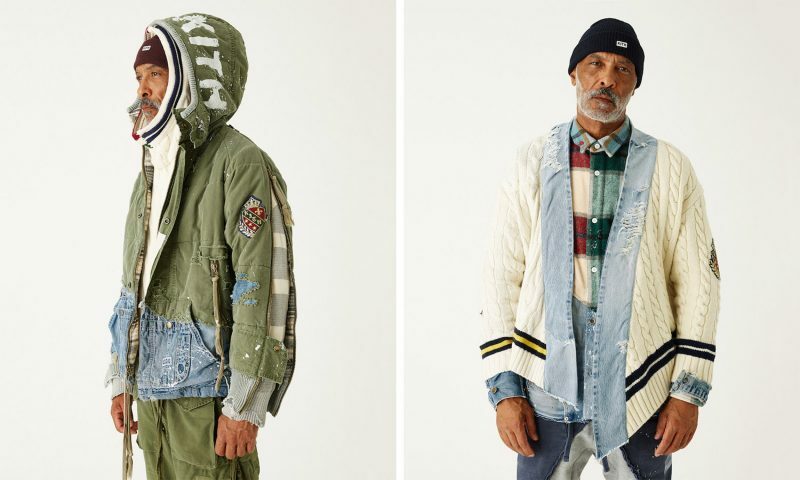 With all the hype around the Palace x Ralph Lauren collab and the sick Ivy meets punk meets sportswear jawnz from Noah, it looks like Prep is making a comeback. 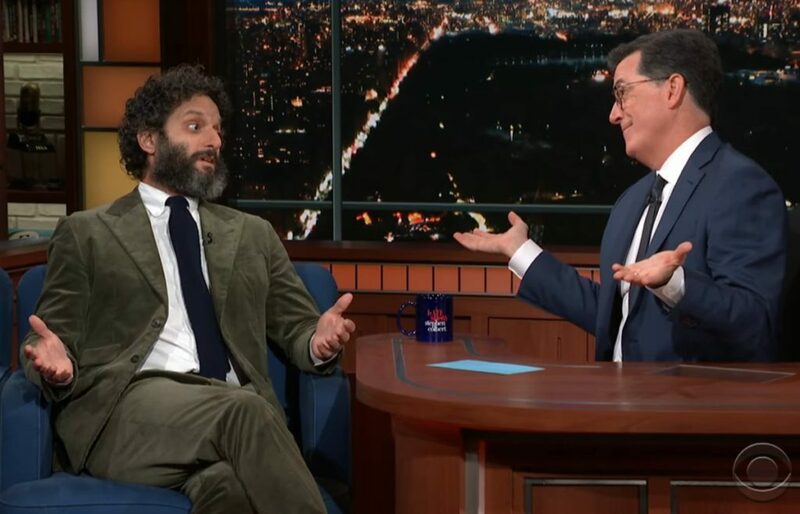 Case in point, comedian Jason Montouzoukas on The Late Show with Stephen Colbert. Corduroy? Check. 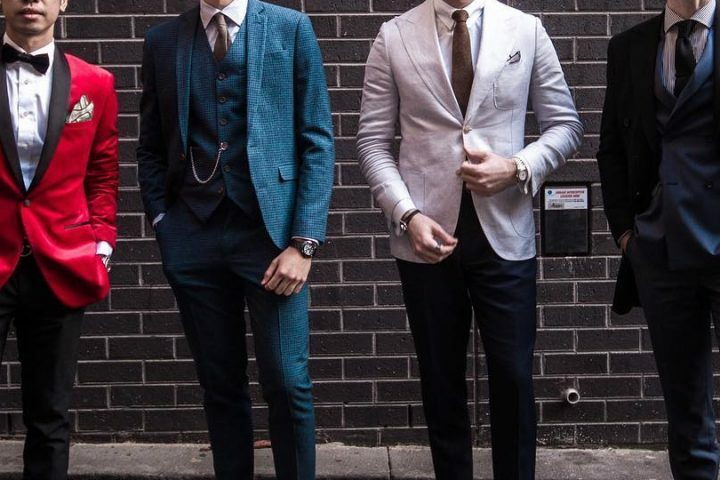 Oxford Button Down Collar? Check. Black Knit Tie? Check. Bring Prep back baby! This photo looks like it could’ve been taken straight out of Take Ivy. 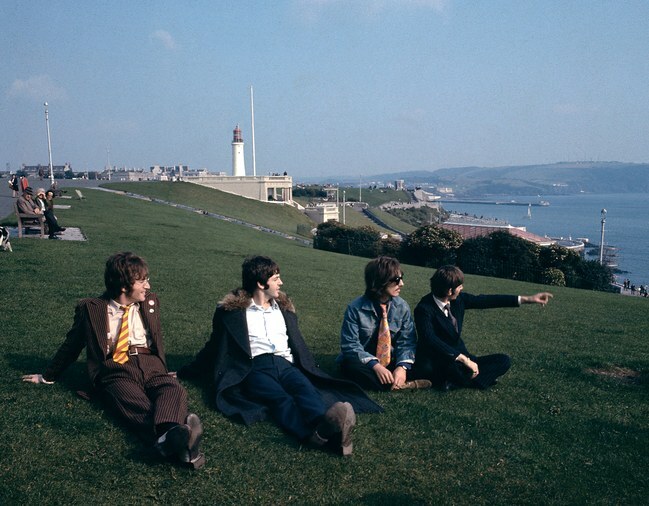 The Beatle’s White Album is considered to be one of the greatest albums ever and the New Yorker has a fascinating piece tracing its history. 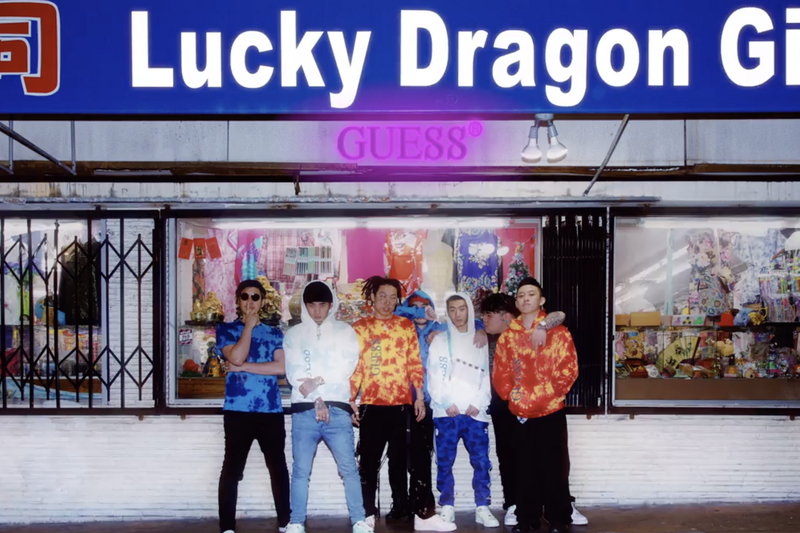 Male Asian rappers have always struggled with legitimacy. Whether it’s because Asian males are represented in the media as akin to eunuchs or because Asian rappers seem to appropriate hip-hop tropes to the point of self-parody – no Asian rapper has broken the industry’s bamboo ceiling. 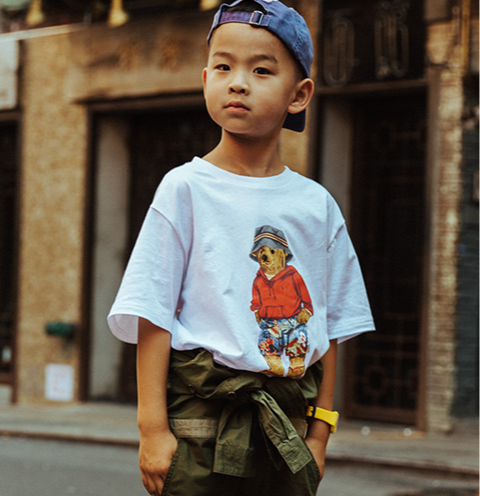 And yet Chinese rap group Higher Brothers and Indonesian rapper Rich Brian have become global internet sensations, and Japanese rapper Joji’s newest album just hit Number One on Billboard’s R&B/hip hop chart. Is this a fleeting moment of Orientalism or is Asian rap about to take the world stage? All photos via respective websites.